PlaygroundEquipment.com is proud to offer excellent prices on the top commercial and residential playground equipment for sale on the market. We connect directly with companies and pass the savings on to you. We strongly believe that every child should have a safe and fun place to play, and when you buy from us, you can rest assured that all of our freestanding playground equipment is durable and built to last a lifetime. We even offer a 100% guarantee if our products do not meet your expectations! At PlaygroundEquipment.com, we are sure to have everything you need to build the perfect park or playground for your needs. 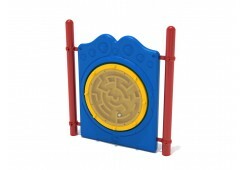 We are happy to offer some of the best freestanding playground equipment available online. 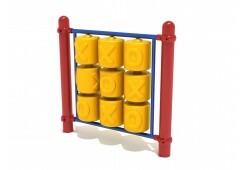 Whether you’re looking for tic-tac-toe boards, balance beams, ladders, or tunnels, we’ve got you covered! Any of these structures are sure to be a great addition to your playground. Freestanding equipment is an excellent way to customize your playground and make it a little more unique. It’s always a good idea to stand out from the pack and offer children something new, fun, and challenging. Outdoor play centers are vital to the growth and development of young children. They encourage children to be physically fit, which reduces childhood obesity and other health problems. Designing a playground with several freestanding elements (like balance beams and game boards) is a perfect way to encourage the development of hand-eye coordination in children through the power of play. When you purchase playground equipment from PlaygroundEquipment.com, you can be confident in your decision, knowing that customer satisfaction is our top priority. We want you to be completely satisfied with your experience, so feel free to contact us anytime if you have any questions or concerns about your order. We are a family-owned business that understands the value of friendly service and high-quality products. We also have many years of experience shipping large packages and will work hard to make sure your items are delivered in perfect condition. If you have any questions or would like help putting together your order, please contact us: We’d be happy to assist you!